SAO PAULO (CNS) — The Indigenous Missionary Council, linked to the Brazilian bishops’ conference, criticized the administration of Brazilian President Michel Temer for saying that it wanted to appropriate the ancestral lands of indigenous people and traditional communities. In its annual report released Oct. 5, the council said an “anti-indigenous offensive” undertaken by the legislators in the National Congress who support farming and agricultural interests harms traditional communities. The council’s report, titled “Violence Against Indigenous People in Brazil,” said 118 indigenous people were killed in 2016, most because of conflicts in demarcated or non-demarcated indigenous territories. The document also reported that 106 indigenous people committed suicide last year and 735 indigenous children 5 years old or younger died from malnutrition or preventable diseases. “This report is not a motive of joy [for the council], but rather a shameful sign of the sad reality of a country that calls itself Christian lives today, reality of contempt, disrespect, and the non-compliance to passed legislation in the executive, legislative and judicial spheres,” Archbishop Roque Paloschi of Porto Velho, Brazil, the council’s president, said during a news conference introducing the report. Auxiliary Bishop Leonardo Steiner of Brasilia, Brazil, secretary-general of the bishops’ conference, planned to deliver the report to Pope Francis next month, when members of the Brazilian bishops will meet with him at the Vatican. “The pope has urged us as the church to be sensitive and remain near the first inhabitants of these lands,” Archbishop Paloschi said. Bishop Steiner, who also attended the news conference, stressed that it is the indigenous people who help put into practice Pope Francis’ 2015 encyclical on the environment, “Laudato Si’, on Care for Our Common Home,” and carry out the preservation of the traditional culture of Brazil through songs and traditions. He also criticized the violence indigenous people face. “These problems of violence, demarcations, among others, should have been solved,” he said. 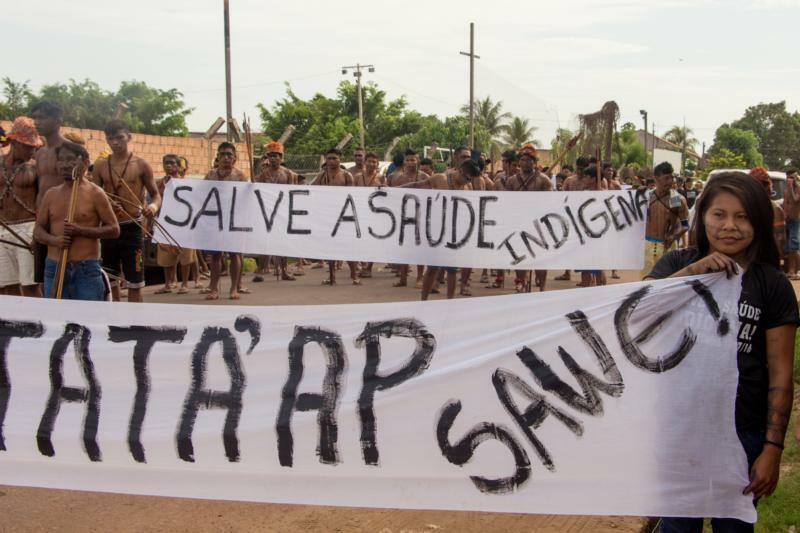 In addition to physical violence against the indigenous population in Brazil, the report called for the return of the demarcation of ancestral lands. Of the 1,296 lands to be registered as indigenous territory, only 401, or 30.9 percent, have had their review processes finalized and were formally registered as traditional indigenous lands, according to the report.